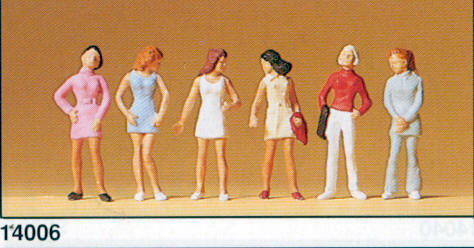 Preiser Model Figures and miniatures for your layout or dioramas. 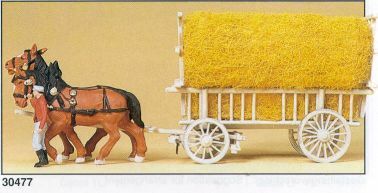 PREISER is the German Manufacturer for figures in HO (1:87), N (1:160), Z (1:220) gauge, 1:35, 1:25 , 1:22.5 (G scale), and 1:32 (1 gauge). Also distributes MISTOLIN figures (1:25). 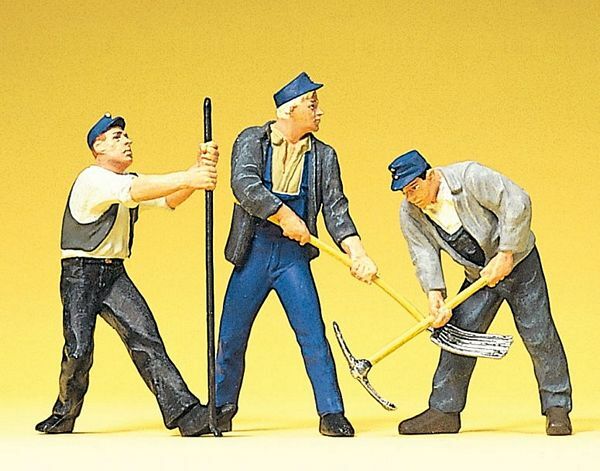 Preiser has dedicated itself since 1949, to the production of realistic miniature figures. Initially, these were carved by hand from wood, since the sixties, they are? 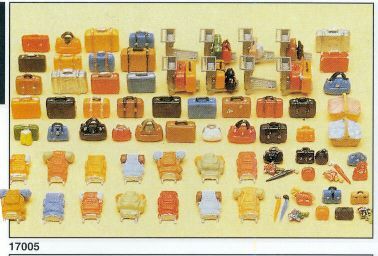 manufactured by plastic injection. All figures are sent to our staff and? carefully assembled and painted by hand.? 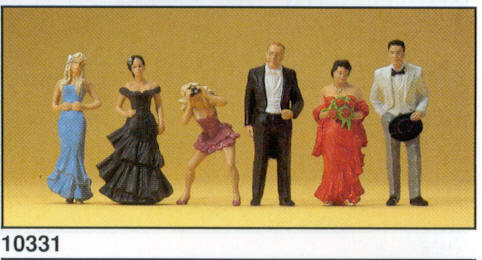 Paul M. Preiser GmbH is a traditional family business that produces realistic Minature figures in 13 different scales. 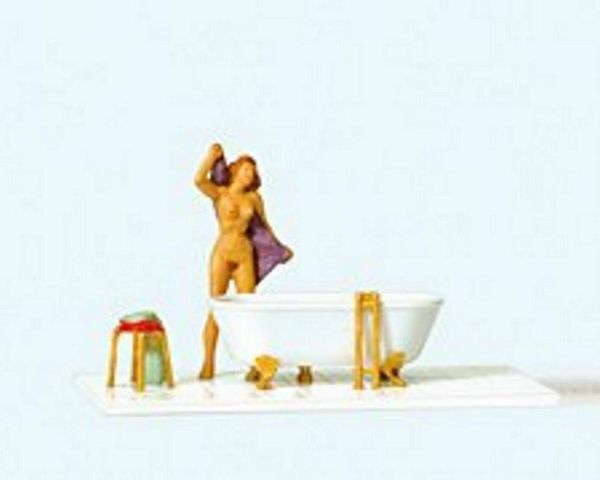 Our detailed figures are used for architectural models and model railways and in advertising and art. Our objective is a high level of attention to detail - with this quality we are the global market leader. The medium-sized company is now run by the third generation and has two locations, one in Germany and one in Mauritius. Our main markets are in Germany, France, the Benelux countries, Great Britain, Austria, Switzerland, USA and Japan. For the miniature figures templates they are carefully researched in order to implement them in perfect shape and clothing. Different societies and eras can be realized. With our new developments, we place great emphasis on implementing trends and desires of our customers. These incredible items, hand painted, comes in a variety of designs and poses to cover a very wide range of needs on any project. There are no 2 items identical as they are hand painted. 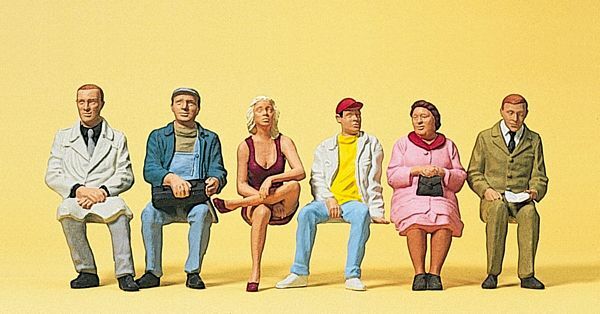 Some items, even when they have the same item number, may be painted in other colors, what makes easier to have the same motif with more figures in different colors painted. Please review our selection. This is the largest selection you can find anywhere in the World (over 1670 items) and of course, as always, at the lowest price in USA. If not in stock, you will be placed in backorder. Items without price are out of stock now.